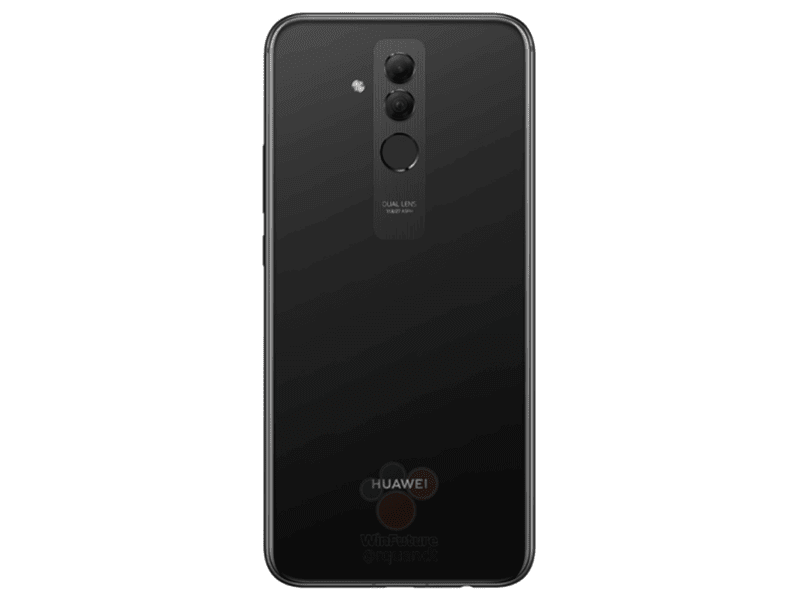 After appearing on TENAA few weeks ago, an alleged official press render of the Huawei Mate 20 Lite was spotted online. 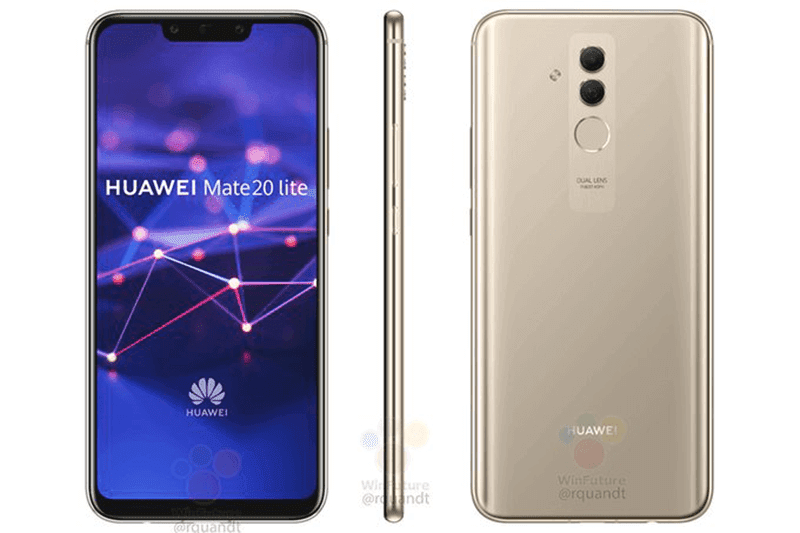 The Mate 20 Lite in gold? Based on its alleged design, the Mate 20 Lite will come with a stylish metal and glass-like construction. The glass at the back has a 3D glass look which could feel more comfortable to hold than traditional smartphones. You will also find the dual cameras, flash, and fingerprint sensor behind. It reminds me of the Huawei Mate 10 Pro look, but better. In front, it showed a big display with tall screen aspect ratio, slim bezels even on top and chin, and a notch. On the notch, you will see the cameras, earpiece, and other sensors. The image render also highlighted that the phone will have the power button and volume rocker at right. Interestingly, it will still feature a 3.5 mm headphone jack at the bottom. The handset is just 7.6 mm slim. Moving to the leaked specs, the phone is equipped with a 6.3-inch LCD panel with at least 2340 x 1080 resolution. Inside, it will be powered by the new 12 nm based 64-bit Kirin 710 octa-core processor clocked at 2.2GHz. It could also come with 6GB RAM, 64GB expandable storage, and 3,650mAh battery. In total, this handset has four cameras. It has 20MP + 2MP dual cameras at the back and a 24MP + 2MP dual cameras for selfies. The secondary 2MP sensors at the back and in front are designed to provide depth effects. The primary shooter at the back will come with a big f/1.8 aperture size for lowlight snaps as well. The rest of the leaked specs include WiFi, 4G LTE, and Bluetooth 4.2. It is expected to be on sale by the end of August for around USD 400 or around PHP 21K. Watch out for more info soon!